Hello again fellow following followers! As promised in my previous post (august 23), here’s a quick how-to for using e-mail Alias. First, what’s an alias? Well, just like the word means, it’s to be used as “another name”. The other name is usually desired when an e-mail account’s names is too crappy or simply too long/complex to remember. Ex. : An e-mail could look something like this: armando.ronaldo-di-caprio_mechette-ahrryato@companyname.de. With an alias, it could become something a lot easier to remember and to write down: a.ronaldo@companyname.de. A very common use (which used to be advertised as such back then) is to change that e-mail name you created while in sixth grade. (Ex. : super_fire-skater1994@hotmail.com) Why change? You may (or not) realized later on that you just can’t use this e-mail on your CV because frankly, it ain’t professional. So, instead of creating a new account, you simply create an alias; john.armando@outlook.com. 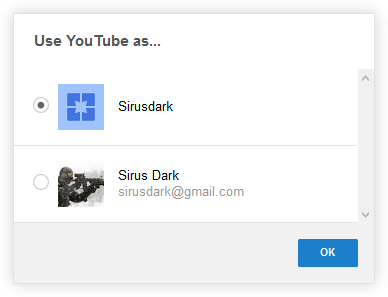 No new e-mail account and no new login to remember! Microsoft, Yahoo! or any decent e-mail provider should/must support the creation of alias. Note that weirdly enough, Google’s Gmail does NOT; you’ll need a new account altogether on that platform or use their “notes” system… which defies the very purpose of alias. Internet Service Providers (aka ISP) often bundle in their services offering e-mail addresses. But there’s a big problem: if you ever switch provider or stop paying, you’re doomed. I made a couple of phone calls and spoke with some well known Canadian ISP’s customer service and they all told me the same thing: if you change provider, you can’t keep the provided e-mail address. Some may offer you to keep it, but for a fee. A free e-mail account on the contrary, is free, it offers the same functionality, long term stability and a LOT more benefits. With a free e-mail account, mainly you can choose any ISP you want, change whenever you want, you’ll still have the same e-mail address. Move in another country? Not a problem; as long as you have Internet access, you’ll be good to go! Be smart, start using a free e-mail account from providers like Microsoft (Hotmail, Outlook.com, Live), Google (Gmail) or Yahoo. Free e-mails however usually have requirements: you usually must stay active. Ex. : Microsoft requires that you sign into your Microsoft account at least once every 270 days, Gmail possibly 9 month too, etc. So anyone who uses e-mail normally will ipso facto meet the activity requirement anyway. What are you waiting for? Get a free e-mail today! EDIT – September 17: I never heard again from Yahoo! since last time. Guess they don’t value much their users after all. Oh well. If your e-mail doesn’t look professional (Ex. : whale_killer666@hotmail.com), don’t worry, you don’t have to change or create a new e-mail account. Stay tuned for an upcoming article on how to use e-mail alias! Blender is a free and open source 3D animation suite. It supports the entirety of the 3D pipeline – modeling, rigging, animation, simulation, rendering, compositing and motion tracking, even video editing and game creation!